Saint Charles Therapist: Karen Bridwell - Therapist 60175. Session Fees: I am in network with Aetna, American Behavioral, Anthem, BCBSIL, CIGNA, ComPsych, Health Alliance, HealthLink, Humana Life Synch, Magellan, Multi Plan, PHCS, PHCS Savility and United Health Care. I also offer sliding scale fees for uninsured clients. 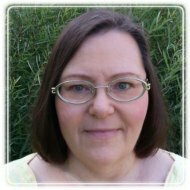 Karen is a Licensed Clinical Professional Counselor (LCPC) in the state of Illinois. She received her Master’s degree in Clinical Professional Psychology from Roosevelt University. In addition, she is a member of the Anxiety and Depression Association of America (ADAA), the American Counseling Association (ACA), the American Association of Christian Counselors (AACC), and the Illinois Mental Health Counselors Association (IMHCA). Karen's specialties include anxiety disorders such as generalized anxiety, panic disorder, panic disorder with agoraphobia, specific phobias, post traumatic stress disorder (PTSD), and obsessive compulsive disorder (OCD). Another area she specializes in is mood disorders such as depression and bipolar disorder. She also has significant experience in counseling victims suffering from the effects of trauma including domestic abuse, domestic violence, sexual abuse, and sexual assault. In addition, she is well equipped to help people experiencing the effects of issues such as anger, grief, impulse control challenges, relational issues, self-esteem, self-injury, and spiritual issues. Karen has shared in the journeys and trials of people that have needed guidance in healing unresolved issues in their lives. There are varieties of reasons why people seek counseling, but no matter what the motivation, she believes they want and need to be accepted right where they are. She is a goal-oriented counselor who uses a combination of therapies with clients, selecting the techniques that work best with each individual as together she and the client decide, develop, and pursue agreed upon objectives. Developing a therapeutic relationship is important as she and the client work together to uncover the thoughts and behaviors that are counterproductive in the life of the person. Then Karen has the individual put into practice the alternative thoughts and behaviors that make possible the positive changes that will enable them to more fully enjoy their life and purpose. Karen is an individual with strong personal and professional ethics, who has a reputation for competency in counseling. One of her key strengths is her interpersonal skills, as she is recognized as a person others are comfortable approaching for guidance. She also excels in helping clients pursue and achieve their goals through education and redirection in a safe, respectful, and supportive environment. Karen considers it a privilege to serve others and help them for a time on their life's journey. Please feel free to email Karen (karen@tngcounseling.com) or to call her (224.578.5548) with any questions you may have, as she would be pleased to answer them. Her office is handicap accessible and has direct access from the outside.